Through Sunday, DiscountMags.com is having a Premium Magazine Weekend Sale. Choose from over 20 titles at or near their lowest prices of the year...titles not usually discounted this much. 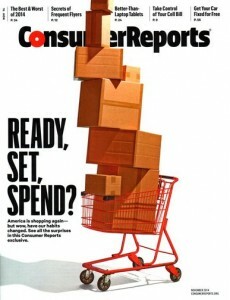 Hot Deal: Consumer Reports is part of this sale for $19.99 per year ($1.59 per issue) for 1 or 2 years. Digital access via iPad is included free for subscribers. Also available: People Magazine @ $1.89 per issue; Time @ 43¢ per issue. These prices are for new or renewal subscribers and also make great gifts. Discount Mags offers Free Shipping, No Sales Tax and subscriptions are NOT subject to automatic renewal.